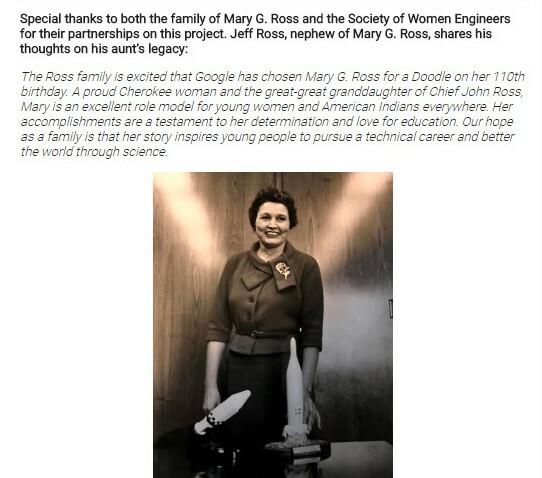 Today the Search Engine Google is showing Mary G. Ross’ 110th Birthday with latest Google Doodle in United States, She was the first female, Native American, aeronautical engineer known as American Indian female engineer. 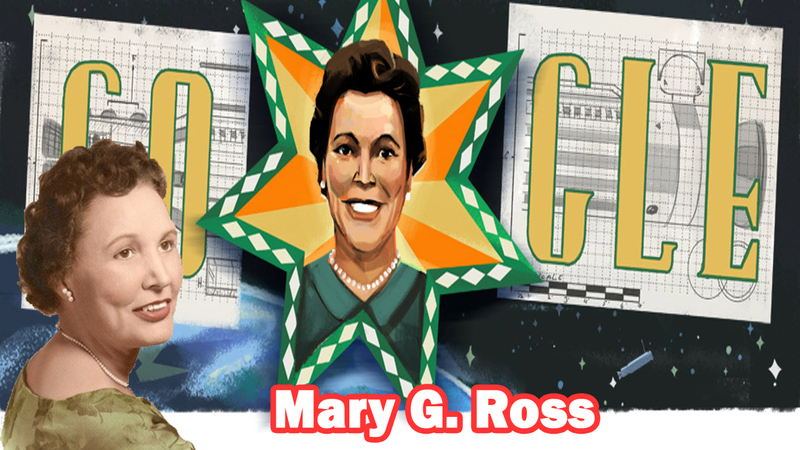 Today It’s time for Mary G. Ross to be remembered as an aerospace pioneer.She was one of the 40 founding engineers of the Skunk Works and was known for her work at Lockheed Martin on “preliminary design concepts for interplanetary space travel, manned and unmanned earth-orbiting flights, the earliest studies of orbiting satellites for both defense and civilian purposes. When she was 16 years old, Ross entered Talekua’s North East State Teacher School. She got a bachelor’s degree in mathematics at the age of 20 in 1928. She obtained her master’s degree from Colorado State Teacher College in Greeley in 1938 and gave her “astronomy classes. 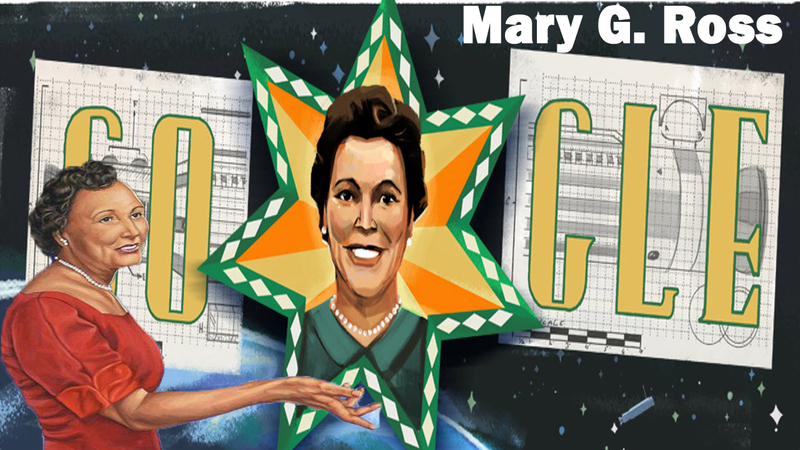 Today’s Doodle celebrates the 110th birthday of Mary G. Ross Google Doodle, the first American Indian female engineer, whose major contributions to the aerospace industry include the development of concepts for interplanetary space travel, manned and unmanned earth-orbiting flights, and orbiting satellites. A proud Cherokee woman and the great-great granddaughter of Chief John Ross, Mary is an excellent role model for young women and American Indians everywhere.